Southport is one of the oldest communities in coastal North Carolina, and as such, the town has ties to virtually every major American event. From its initial discovery centuries ago by European explorers, to its role in the American Revolution and Civil War, Southport’s deep roots are as fascinating as the coastal town landscape itself. On a Southport vacation, be sure and reserve a little time to uncover these many stories that helped shape the town, as well as the country. With history dotted along every waterfront corner, Southport’s rich past is always present for visitors. Southport was first “discovered” by Spanish and English explorers in the 16th century, although the region had been inhabited for years by Native Americans. Spanish ships cruised by the area in the 1520s and noted the region, but the area still remained unsettled for more than 200 years after this original notation. The area surrounding the Cape Fear River became a popular safe haven for pirates in the early 1700s, but it wasn’t until Brunswick Town and Fort Johnston were established at the mouth of the Cape Fear River in the 1740s and 1750s that the area was finally populated. The fort was established by Governor Gabriel Johnston in 1744 to protect the Cape Fear area from Spanish and French attacks, and the town of Southport simply grew around the fort’s borders. Brunswick Town, which was located a few miles away, would eventually be destroyed by British soldiers during the American Revolution, but Fort Johnston remained, and in 1792, the town of Smithville was officially created around the fort. The name was a nod to one of the original town commissioners, Benjamin Smith, who served in the Revolutionary War and who was later elected North Carolina’s Governor. By the early 1800s, the town of Smithville had grown as both a fishing village and a military community, as well as a summer home for inland vacationers due to its sea breezes and waterfront locale. Smithville would become the county seat of Brunswick County in 1808, and by the time the Civil War rolled around, would assist nearby Fort Anderson and Fort Fisher with protecting the fragile Cape Fear River, which was an essential route for Confederate supplies and blockade runners. After the war ended, the town of Smithville began to see new opportunities in the business realm as entrepreneurs envisioned a city that combined river and railroad transportation to rival the other area port town, Wilmington. During this massive revitalization effort, the town’s name was changed to “Southport,” and while the community didn’t end up becoming the huge port town that was envisioned, the name of Southport stuck. Southport continued to grow – albeit slowly – with a ferry connecting the town with Fort Fisher established in 1966. The County Seat title would eventually be transferred to the inland town of Bolivia in 1978, but by this time the area was growing a reputation among residents and vacationers alike. Retirees started to flock to the area in the late 20th and early 21st centuries, and the town’s prominent role in movies like “Crimes of the Heart,” “I Know What You Did Last Summer” and “Safe Haven” eventually grew its reputation even more. Today, the town is a scenic and picturesque coastal community that’s just as pretty as its depiction in the movies, and which still has plenty of ties to its centuries-old past. The town’s annual Independence Day celebration has been a community event since 1795, and iconic landmarks like Fort Johnston still stand as testaments to Southport’s unique and storied history. As one would surmise from the centuries of history, Southport is brimming with historic destinations that are wide open for visitors to explore. Take a trip through ancient forts, old jails, and intricate museums to uncover all there is to known about this unique community. Take a stroll through downtown Southport to enjoy the centuries of history that are found within the Southport Historic District. The district itself encompasses 161 contributing buildings, and more than half of the structures within the downtown district date from before the 1900s. 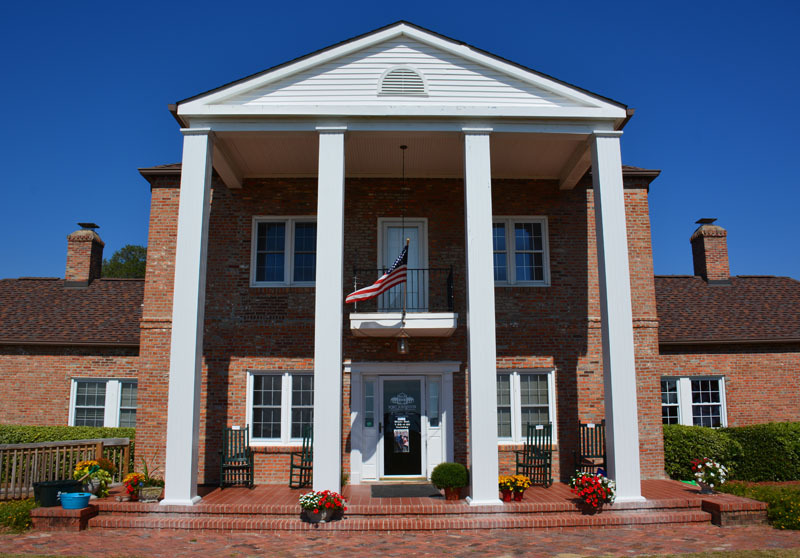 Among the residential, commercial, and industrial sites within the Southport Historic District, visitors will want to keep an eye out for notable stand-outs, including the Fort Johnston Officers Quarters (c. 1805-09), the Walker-Pike House (c. 1800-20), the original Brunswick Inn (c. 1859), the former Fort Johnston Hospital (c. 1852-1860), and the former Brunswick County Court House (c. 1854). 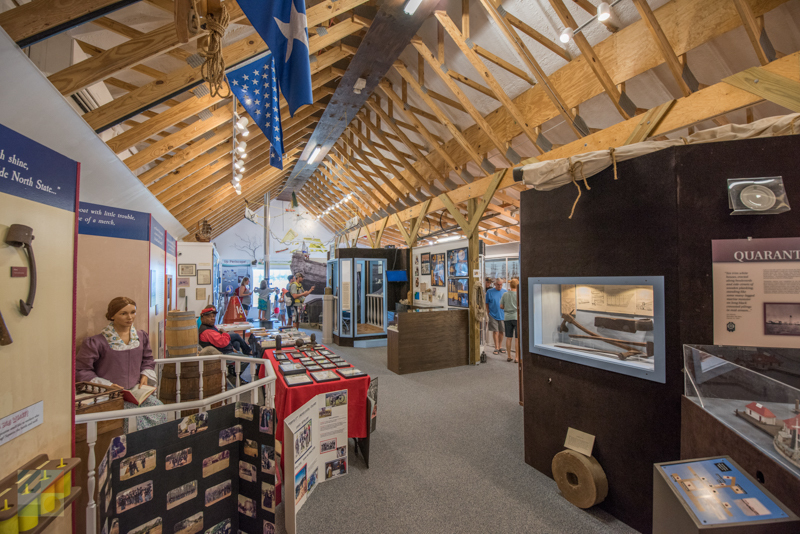 The NC Maritime Museum is a treasure trove of history, thanks to countless artifacts and displays that cornicle Southport’s past from an isolated coastal destination to a maritime community. 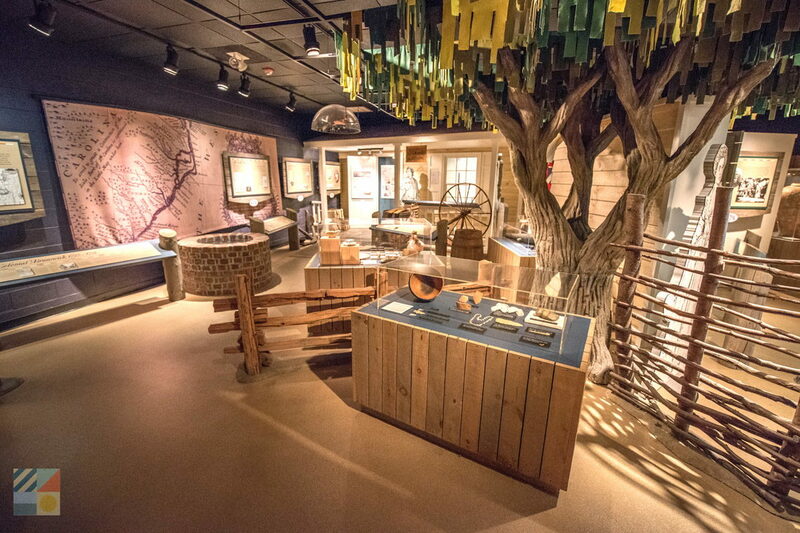 Within this downtown attraction, visitors can admire fragments of a 2,000 year old Native American canoe, see weapons and relics from the Revolutionary War and Civil War, and even see fishing equipment from locals who have been harvesting the area waters for decades. The museum also hosts regular programs, including guest lecturers and special sessions on distinct chapters of Southport’s heritage. In service for more than 250 years, which made it the longest running active-duty fort in the country, Fort Johnston has been transformed into a unique museum and visitors center which first opened its doors to the public in 2006. 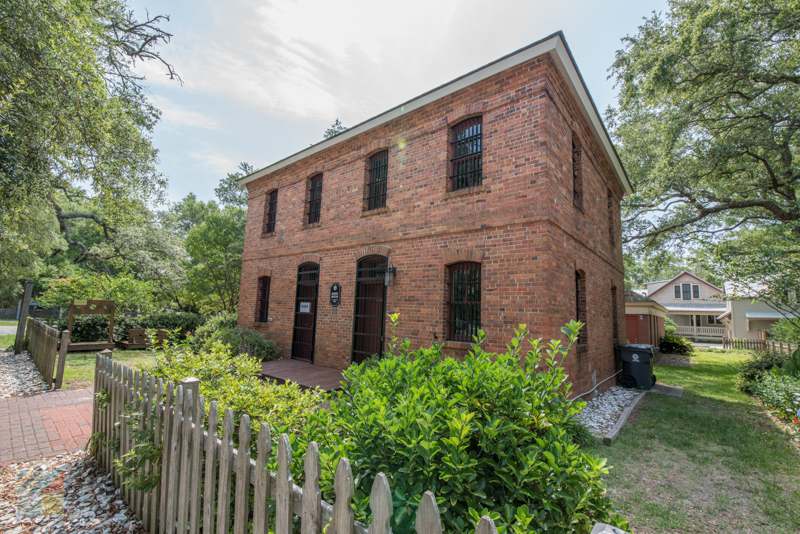 Today, visitors can explore the fort, which is chock full of artifacts, memorabilia, and documents from the fort’s tenure as a protector of the Cape Fear River, and can even pick up area information at the in-house Visitors Center for a wealth of inspiration on Southport things to do. The Old Brunswick Jail was the county’s primary jail for many years until it was acquired by the Southport Historical Society, and converted into one of the most unique museums in town. Established in 1904 and in operation for roughly 70 years, modern visitors can tour the original two-story jailhouse from top to bottom, and admire the two cells, the basement quarters, and the roundabout that circles overhead. With little touches like original graffiti and locally beloved stories of the jail’s role in movies like “Crimes of the Heart” in 1986, this small museum is a fascinating glimpse of history that’s in the heart of the downtown area, but just barely off the beaten path. 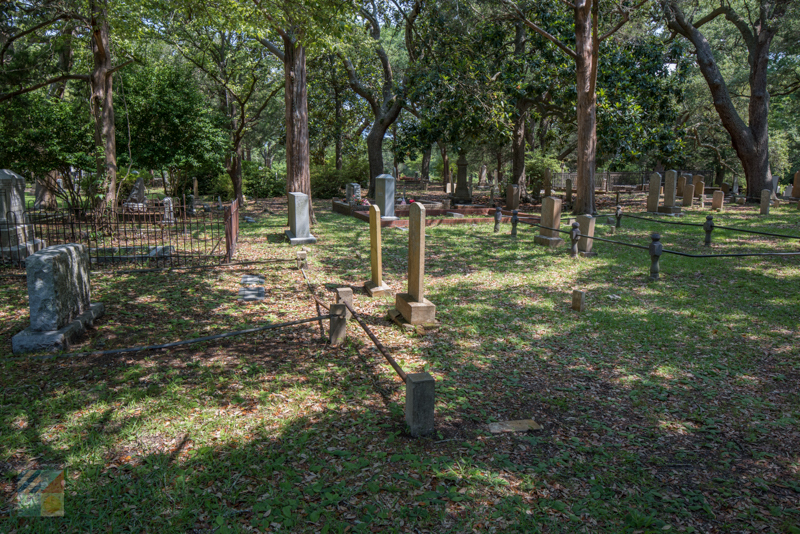 Known as the oldest cemetery in Brunswick County, and situated in the heart of downtown Southport, the Old Smithville Burying Ground is the final resting place of a number of notable residents and heroes throughout the centuries. The burying ground was established in 1792, and the interred include Governor Benjamin Smith, the town’s original namesake and former North Carolina governor, General Robert Howe, another hero of the Revolutionary War, and centuries of soldiers, shipwreck victims, and more. The Old Smithville Burying Ground remains a popular spot on walking tours because of this rich history, and is worth a pause on any downtown stroll. Originally built in 1768 and burnt to the ground just a few years later by British Soldiers in 1776, this church was one of the first churches for the new “Smithville” settlement. 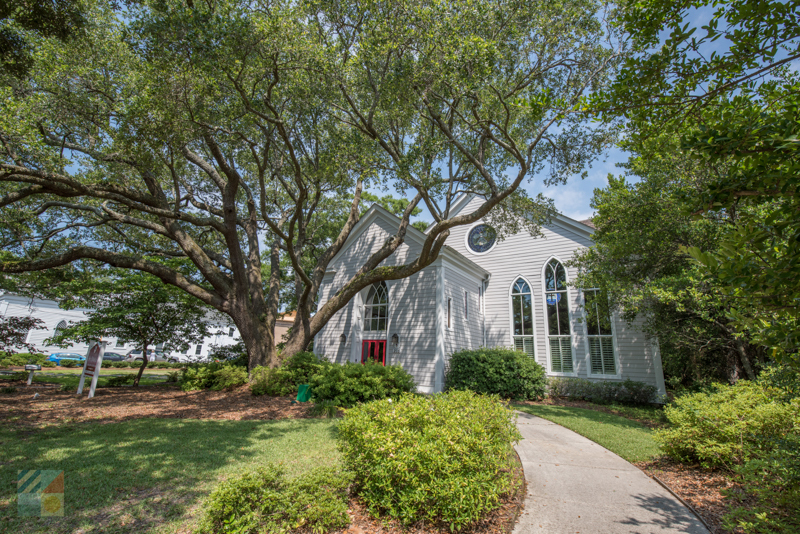 The current structure was built years later in 1843, and despite some new additions, the church still retains its original mid-19th century architectural details, which makes it a regular stop along a number of historical Southport tours. 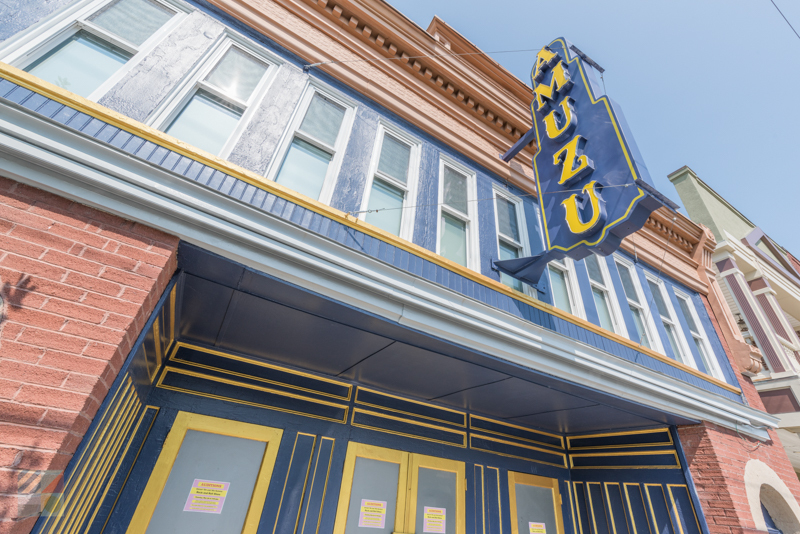 Established in 1912 as a grand movie house, the Historic Amuzu Theatre in downtown Southport was a popular destination for entertainment until it shuttered its doors in 1980. The theater was eventually revitalized and remodeled, and came back to life in 2005 as a home to local performances and theater troupes. Modern visitors can still catch a show in the 110-seat theater, and can admire the architecture and appeal that still evokes the theater’s grand movie house heyday. 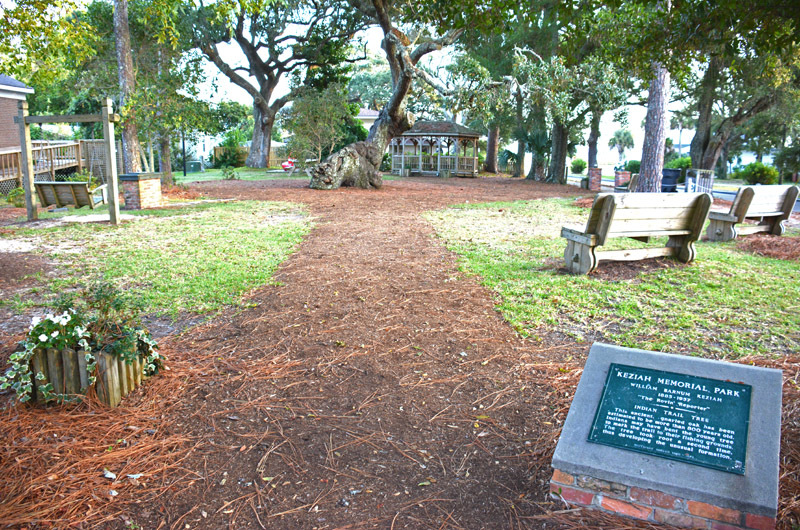 Located in the heart of downtown Southport and encompassing just ½ an acre in area, this passive park is known as the home of one of the town’s oldest and most famous residents – the Indian Trail Tree. The tree is estimated to be at least 800-years-old, and its thick trunk and branches have been a popular climbing spot for young locals and visitors for decades. 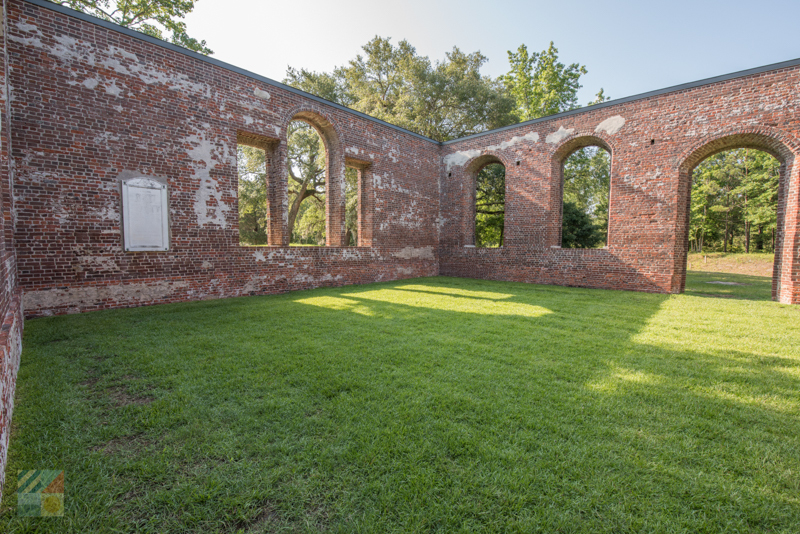 Take a trip just inland to see the remains of the original lower Cape Fear community with a visit to the Brunswick Town/Fort Anderson Historic Site. 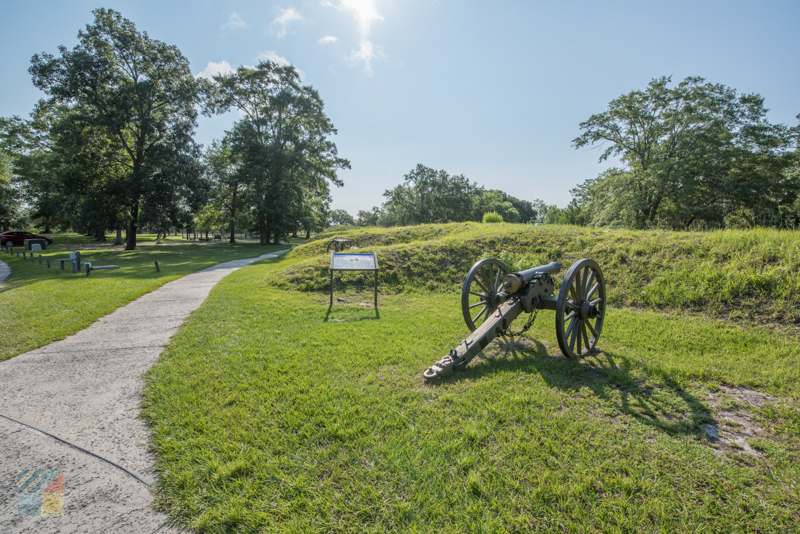 Though the original Brunswick Town is long gone, the shell of the Fort Anderson still remains, as does walking paths and an on-site visitors’ center that explains the history of the region in grand detail. 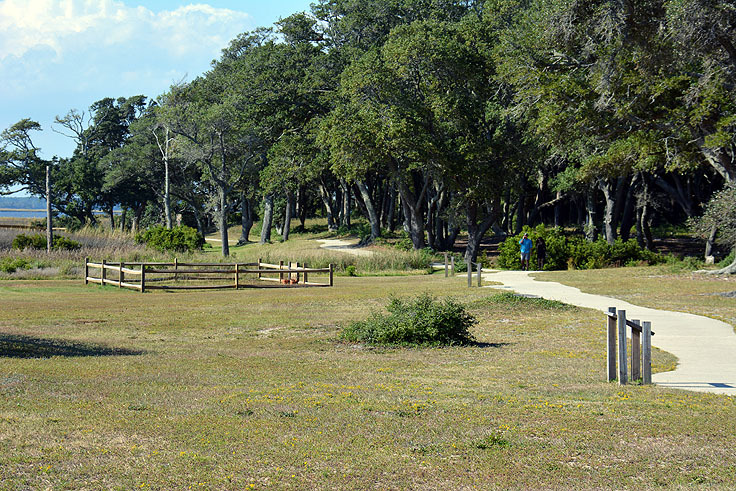 Today, the site serves as a working archeological site, and visitors can peruse artifacts from centuries ago while enjoying a scenic section of coastal North Carolina. 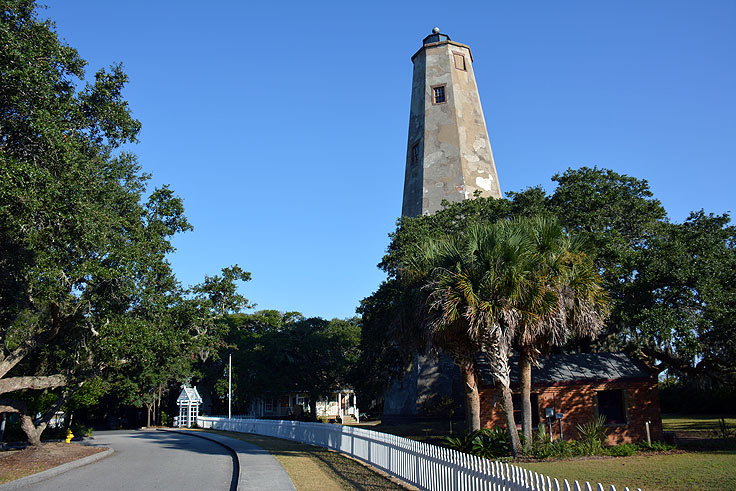 Take a day trip to Bald Head Island to tour one of the oldest lighthouses in the country, the historic Bald Head Island Lighthouse, known simply to locals as “Old Baldy.” The 1812 lighthouse is seasonally open for visitors who want to climb to the top, and the mid-19th century keeper’s quarters has been transformed into a museum that’s filled with artifacts, photos, and memorabilia that outlines the lighthouse’s history. 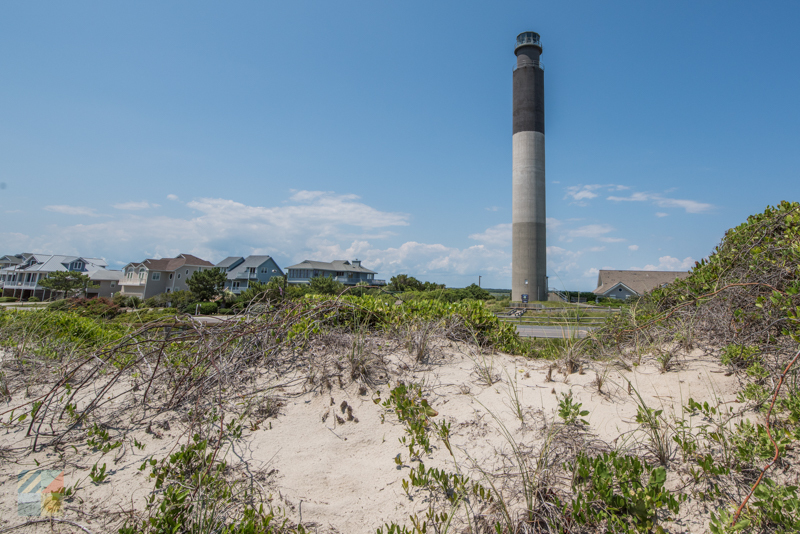 One of the newest lighthouses along the East Coast – the Oak Island Lighthouse – is found just south of “Old Baldy” and Southport, and is a unique structure that looks distinctively different from its older lighthouse counterparts. Standing 153’ ft. tall and featuring a straight column exterior, this lighthouse is identified by its slim shape, its three blocks of color, and its lighting system that uses four 2.5 million candlepower aerobeacon lights. Seasonal visitors can explore the first story of the structure or even take a trek all the way to the top, where exceptional views are waiting. Take a ferry ride from Southport to Fort Fisher to encounter one of the most important sites for coastal North Carolina during the Civil War. The 1865 Battle of Fort Fisher was the largest amphibious battle in the war’s history, and the fall of Fort Fisher eventually led to the fall of the Cape Fear region, and not long after that, the fall of the south. Today, visitors can view barely visible remnants of the earthen fort, take a stroll through the site via interpretive trails, and pop into the Visitor’s Center which has plenty of exhibits and artifacts that detail the fort’s history. Be sure and sign up for one of Southport’s many tours. Available by foot, by bus or beach car, or even by boat, a Southport tour will really put the local history into perspective, site by site. For even more regional history, head north to downtown Wilmington. This port city that’s located 30-40 minutes away from Southport features one of the largest historic districts in the country, as well as a myriad of sites and museums including the USS Battleship North Carolina, and the Cape Fear Museum. There’s lots of history to uncover on Bald Head Island, but be sure and come prepared. There are no cars allowed on the island, so rent a golf cart, or rent / bring along a bike to fully explore this beach destination. Visitors who want to acquire a few historical treasures of their own will find that Southport is brimming with antique shops. Clustered around the historic downtown area, the antiquing scene in Southport is known as one of the best in southern North Carolina. Be sure and check out the shops, restaurants, and markets around town too! Often housed within historic cottages and buildings, these fun destinations are historic attractions in their own right. Southport is brimming with history that stretches from its outlying barrier islands to its inland historic forts, and it’s easy for visitors to explore these stories and legacies in depth. With a myriad of tours, area museums, and historic attractions that are “hidden” in plain sight – as well as an inherently slower pace - a Southport expedition can easily turn into an enjoyable and fascinating trip back in time.